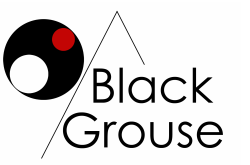 Black Grouse was established to bring a fresh approach to getting out and enjoying the outdoors. Whether you live in a city or out in the sticks there is always a way to find space to breathe, relax, and be yourself. We are passionate about making the outdoors affordable for all, and about inspiring and educating all those who we work with. The outdoors is a great place to meet new people, forge new friendships, and nurture self-confidence. Tony Greenacre has been taking people into the outdoors for over 25 years. He is active in a range of adventure activities and spends his time working on local outdoor education centers, training, supervising and assessing students on their Duke of Edinburgh expeditions, as well as providing opportunities for others to enjoy an outdoor adventure. Tony has suffered from anxiety for all his life but this has only recently been diagnosed. He has now come to recognise how this has affected his life and uses the outdoors to help himself and for others talk freely and share their own experiences. Meeting new people and experiencing new things is never easy and our courses are pressure free, friendly environments that are open to all.